One of the most important things in becoming a good tennis player is to be in the correct position to hit the ball. Not only does your footwork have to be good to be able to get to the ball, but more importantly you also have to be balanced once you get there. Therefore, a serious player needs to master the skills of "Dynamic balancing"*. Extreme Balance is the ultimate traning tool to help develop dynamic balance*, lower center of gravity**to load and explode a perfect shot. With a few integrated drills with Extreme Balance a player will learn how their head, upper body and leg positions will improve their balance. Extreme Balance training should be incorporated into the technique learning process. Top players almost never lose balance, and if they do, then they usually hit the ball like any other amateur player, because they are subject to the same laws of physics as amateur players. A recent study of competetive tennis indicated that over %80 of errors on court was because of loss of balance. Extreme Balance is not only ideal for dynamic balance training it is also improves speed, strength and endurance. An all-in-one device that is a more effective tool than balance boards, agility ladders and hurdles combined as it has all the elements integrated during actual play. 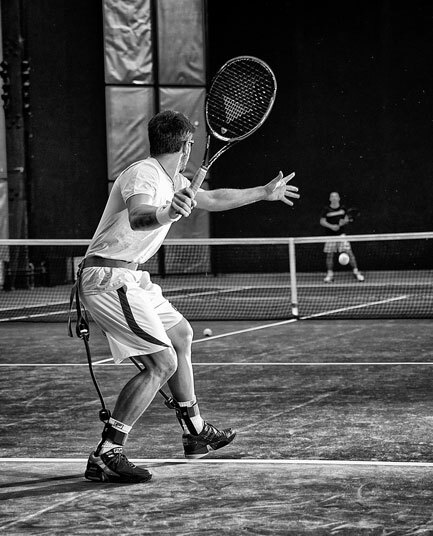 Want to dart around the court like the top pros, while hitting with more power and accuracy? Then start training like them. Whether you play on Clay or hard court Extreme Balance will take your game to next level not seen before. *Dynamic Balance is when a player maintains balance on the move. 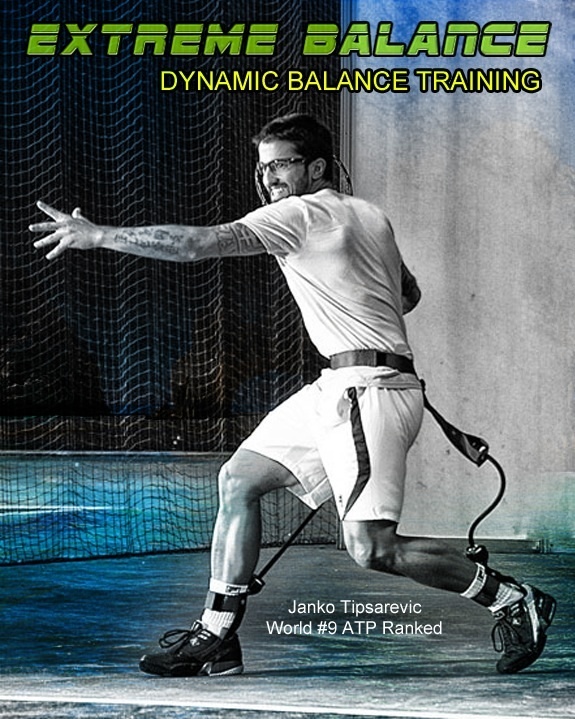 The concept of keeping your body and racquet under control while you are moving is referred to as dynamic balance. The key is to keep control of your center of gravity as much as possible while you are playing. **The center of gravity is best described as the point about which your body balances most perfectly. During an actual point in a match, your center of gravity may even fall outside of your body in certain points. Keeping the center of gravity in line with your base of support gives optimum balance and, lowering your center of gravity, makes you more stable. The position of the center of gravity is very closely dependent on balance.